I'd seen this top on ModCloth before, so I felt really lucky when I found it at TJMaxx last year for about $14 (I even got it in red)! I love the Parisian mod-inspired collar and peplum. I styled it with a black bodycon pencil skirt, red tights, black skull booties from Pink and Pepper, and bright pink lips (Stila's "Fiore"). I had only worn it a couple of times before sending it to Katrina and couldn't think of other ways to style it, so I was hoping to get inspired after seeing how she wore it. Now I just have to wait for it to get cold again so I can layer it with a leather jacket (so obsessed with Katrina's jacket below). The all black is very downtown casual, and it's a cool way to modernize the top a bit. Don't forget to check back for Part II to see how we style Katrina's dress! 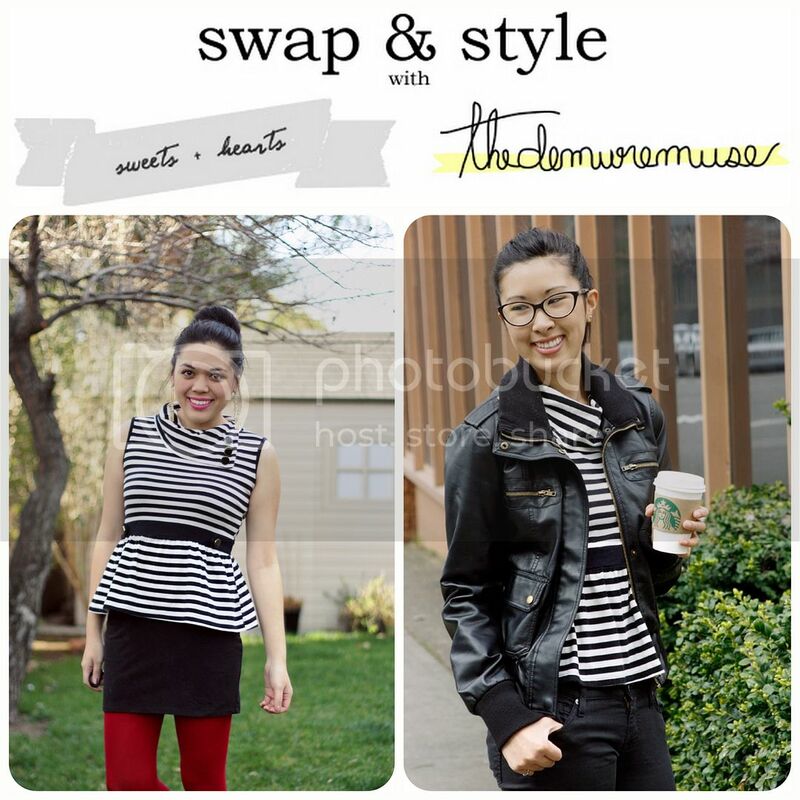 See past Swap & Style looks here.